The Spyder Bormio GORE-TEX® Insulated Ski Pant brings you the best of both worlds - a comfortable ski pant for most conditions, and a snow-blocking bib for more extreme backcountry adventure days. It’s fully waterproof and breathable since it’s made with GORE-TEX® fabrics and watertight zippers. 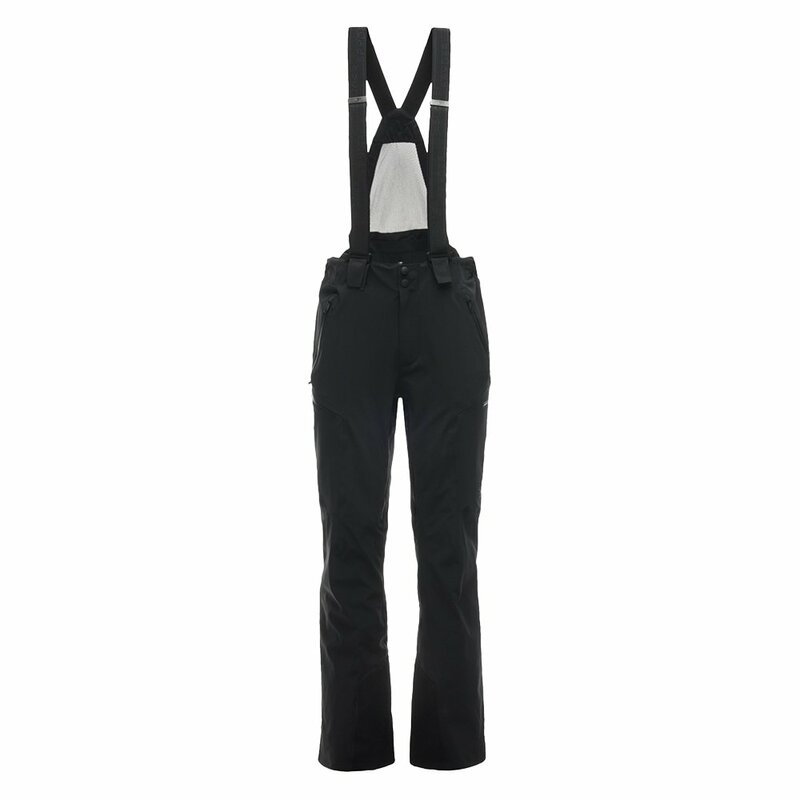 An adjustable waist and articulated legs make these comfortable in all conditions, and nothing is better than the Spyder Bormio GORE-TEX® Insulated Ski Pant’s removable suspenders with mesh inserts on days where the powder is up to your waist. "If I am a size 33 in mens denim jeans, which size would i be in Spyder pants? Small, Medium or Large? I bought the Garmisch Spyder jacket last year from you in size Medium. " "Thank you for your inquiry. We recommend taking a look at the Spyder size chart for accurate measurements. We hope this information helps! "